The Cougar Fund is strongly opposed to HB0012, which has recently been filed in the State Legislature. Please help us to defeat this Bill, which would allow the trapping and snaring of mountain lions! Simply, locate the representatives for your Voting District in the tables below. Each email address is live so just click on it and you can email them individually; or, copy and paste all of your legislator’s email addresses into the address line of your email. Traps and Snares are indiscriminate. Cougars that are caught in these archaic devices may chew off a limb in an effort to escape. Mountain lions, including kittens, or mothers with dependent young, are often disabled by being caught in a trap or snare, even if released. The loss of a tooth or toe means they will be unable to hunt and survive. Many cougars that have been killed or found dead of debilitation or malnutrition have physical evidence of having been trapped. The indiscriminate nature of trapping means that more females, including mothers and kittens, will be killed since their home range is smaller and they do not travel great distances like their male counterparts. Mothers with dependent young are especially vulnerable as they repeatedly hunt and return to their kittens, leaving tracks to show their path. Traps and snares are baited with wild animal scents…this is an attractant to all animals including endangered species such as lynx, threatened species such as grizzly bears, and species of special concern such as wolverines. Ungulates, including mule deer and bighorn sheep have been recorded as incidental take in traps. The Wyoming Game and Fish Department never allow members of the public to trap and snare large game or trophy game animals. Other states such as Montana, Idaho, Minnesota and Maine have been litigated against successfully in cases concerning incidental take of protected animals. The traps could prove dangerous to recreationalists, whether hunters or non-hunters, especially if they are accompanied by children, sporting hounds, or companion animals. Dogs are just as attracted to the scenting as wild animals and will be drawn to the traps to investigate. Inadvertently encountering a large animal already in a trap is a serious public safety issue. If young animals are trapped or snared, their mother will almost certainly be in the area. The Bill has been introduced as a method to increase mule deer numbers. Current best science has repeatedly shown that any improvement in mule deer numbers from extraordinary pressure on cougars is extremely ineffective and unsustainable. Mule deer are threatened by disease and environmental factors such as habitat loss and fragmentation. Reduction in forage quality plays an especially important role in mule deer physical condition, reproductive health and fawn survival. Between 2009 and 2015, 11 mountain lions were unintentionally caught in furbearer traps. During that same period 24 deer (23 mule, 1 white tail) were also caught. Mountain lions and deer occupy the same habitat. Larger traps for dedicated mountain lion mortality will most definitely kill the deer the initiative is mistakenly intending to save. WGFD has invested significant financial resources and dedicated time, energy, research and citizen participation in the Wyoming Mule Deer Initiative. They are starting to see some turnaround in survival and indicators of recovery with the current focused management. 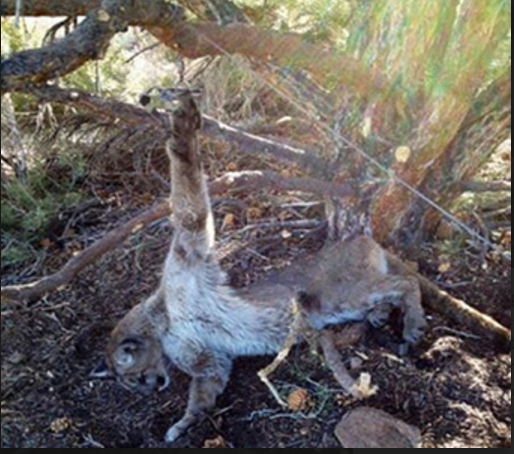 Trapping and snaring of cougars is not part of the plan. We NEED cougars and other large carnivores on the landscape – they are positive contributors to biodiversity. Trapping and snaring directly contradicts Wyoming’s Mountain Lion Management Plan, which encourages selectivity and forbids killing of mothers with kittens or spotted independent cougars. HB0012 is blatantly at odds with this requirement. HB0012 says the Wyoming Game and Fish SHALL promulgate regulations for this legislation. That wording is inconsistent with the responsibility for management decisions being with WGFD and indicates inappropriate political influence by the Legislature. If the tables below do not display properly on your desktop or mobile device, or if you would like to contact your legislators by phone, click here for a list of Wyoming’s House of Representative members.